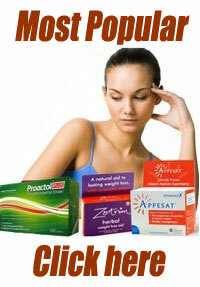 Melt Fat Burner is a supplement manufactured in the USA by LMNITRIX. The company also produces a number of other sports supplements, but it has to be said their products are more middle of the road than exciting and have failed to gain a reputation that suggests they are capable of competing with the best of the best. Melt Fat Burner is a good example, it’s marketed as a powerful thermogenic fat burner and customers are told to expect rapid results. However, although the formulation does contain some promising ingredients, most of them are hindered by low inclusion rates and, in one case (garcinia cambogia), the potency of the extract used has to be questioned. Garcinia Cambogia (200mg): A fat burning fruit extract that has to be judged by how much hydroxycitric acid (HCA) it contains. Experts say extracts that are 60% HCA or more can assist weight loss by suppressing the appetite and stopping the body from building fresh stores of fat. Extracts of lesser potency are unlikely to work. The (HCA) potency of the extract used here is not disclosed. L-Carnitine Tartrate (200mg): Research suggests L-carnitine can reduce fat mass, increase muscular mass, reduce fatigue, and improve cognitive function, but the dose used in the study was 2g per day, provided in the form of levocarnitine. Caffeine Anhydrous (135mg): A respected energy provider and focus booster. Caffeine is also a proven thermogenic fat burner. The amount provided here is slightly less than the amount of caffeine you would get by drinking 1.5 cups of coffee. Choline Bitartrate (100mg): The female martial artists who took part in one study, attained rapid weight loss by using choline supplements, but they were provided with two 1g doses per day. Hordenine (20mg): A plant extract that’s used as a stimulant. It’s also alleged to be a fat burner, but hordenine has not been adequately studied; so it’s potential has never been proven. Nor has it been proven to be well tolerated or safe to use. Capsimax (20mg): A proprietary red pepper extract. Research shows the capsaicin provided by cayenne is good for suppressing the appetite and it’s also a proven thermogenic fat burner, so this is a good ingredient to have. However the dose is probably too low. How to Use – new users are advised to begin by taking one capsule per day. If no side effects are experienced the dose can be upped to two capsules per day. That’s one in the morning and another one in the afternoon, but a six-hour gap has to be left between doses. Good results will require the product be used for at least four weeks and the maximum usage period is two months. Melt Fat Burner is sold with the promise “love it or get your money back”, but the sales page provides no details about how long customers are given to test it and see if they love it or not. We managed to find a link to a page called “100% Money Back Guarantee”. It states the guarantee is good for 60 days and 100% risk free, but it specifically mentions another product (BCAA) and does not appear to apply to anything else. Next we checked the “Returns Policy” page. It states customer only have 14 days to make a return and stresses refunds will only be considered for supplements that are unopened and still in the original packaging. So what does all this mean? Probably no guarantee. A lot of Amazon customers report experiencing unpleasant side effects, though it has to be said not nearly as worrying as the ones reported by people using the earlier formulation. However, the potential for negative issues is still there, so we recommend not using Melt Fat Burner without a doctor’s prior approval. 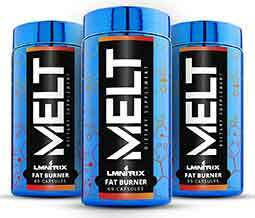 Melt Fat Burner is available to buy from the LMNITRIX website. It also appears to be available via Amazon.com, but we found two sales pages. One of them said the product was out of stock and the other had Melt Fat Burner marked up to three times the RRP. The formulation used in the more expensive version is very different to the one being sold on the LMNITRIX website. We did some research and discovered it’s an earlier version that was discontinued. And not without good reason. A lot of customers reported experiencing scary side effects. Melt Fat Burner may provide some degree of appetite suppression. It’s also conceivable it may help people to burn a few extra calories and lose some fat, but the formulation is weak and the amount of conflicting customer reviews fail to build confidence. We’re not looking at a powerful fat burner here and the presence of hordenine presents a degree of concern. The formulation could be greatly improved if hordenine were removed in favour of larger doses of Capsimax and some of the other better ingredients. 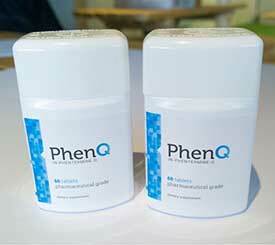 As discussed earlier our preference is for PhenQ. PhenQ is not solely a fat burner, it can offer other benefits as well such as blocking newly acquired and potentially hard to shift fat. It can also suppress appetite and reduce daily calorie consumption.